Once you smoke a cigar stored with Boveda, you'll finally enjoy it exactly as the master blender intended. 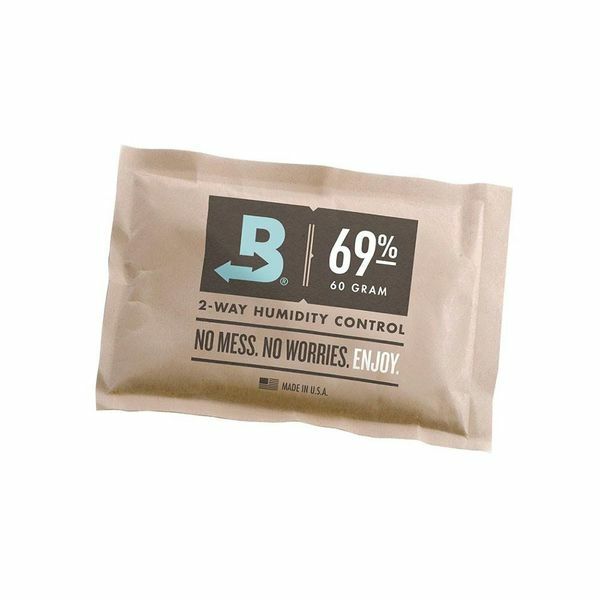 The Boveda 69% Humidipak is the standard for cigar humidification. If you’re new to cigars, this may not be something you know, but cigars are just like anything else you can consume. If you don’t take proper care of them, they can spoil. However, cigars don’t spoil the same as your loaf of bread that you bought like two weeks ago and is now turning green will spoil. There are two ways that cigars spoil. Either they’re left in too moist of an environment and they mold throughout, which is the rarer issue to face, or they dry out. Now, if you put your cigars in the humidor or cigar box that you have at home and you close the lid, store it out of the sunlight and away from extreme heat, and you smoke the cigars within a few weeks, this will never be a problem for you. But if you put cigars in there and leave them for a few months at a time, you are going to find that you will begin to run into problems with them drying out if they’re not taken care of. That leads to a bad smoke, loss of flavor and natural oils, and even worse, to the cigar basically flaking apart. Once a cigar tears or flakes, you’re going to experience that throughout the smoke, and it is annoying as can be. The solution, thankfully, is insanely simple. Buy a Boveda humidipak, drop it in the cigar box, and replace it once every so often. When you open the box to grab a cigar, give it a squeeze; so long as the pak doesn’t feel dry, it’s good to go. Such a simple solution, and one that is so cost-effective, it almost seems silly NOT to buy a Boveda Humidipak today!